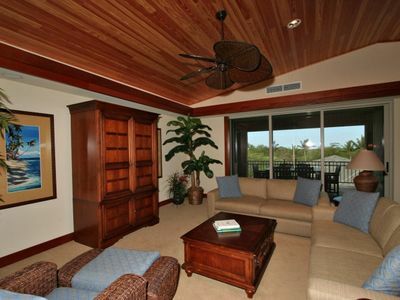 Resort Townhome on Golf Course w/ Lanai & Views! 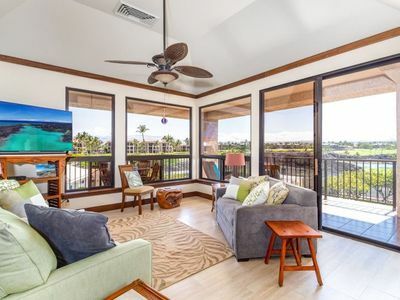 Unwind in the calm ocean breeze during the day and cooler mountain breeze in the evening from your private, spacious lanai at this 2-bedroom, 2-bathroom Waikoloa Village townhome! 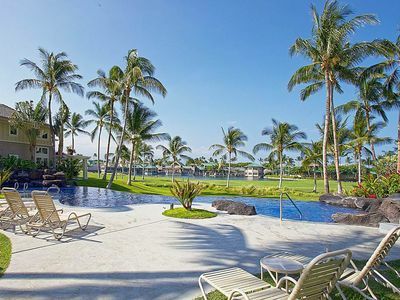 With accommodations for 4 guests, this vacation rental boasts a beautiful golf course, mountain and ocean views, and provides access to the Waikoloa Villas amenities. 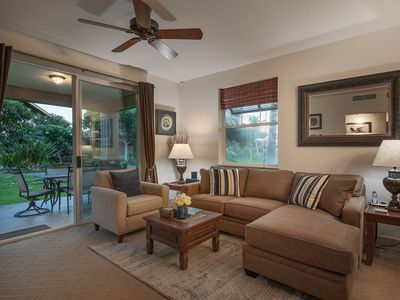 Enjoy 2 solar-heated pools, spas, outdoor grill patios, and tennis courts at no extra cost! 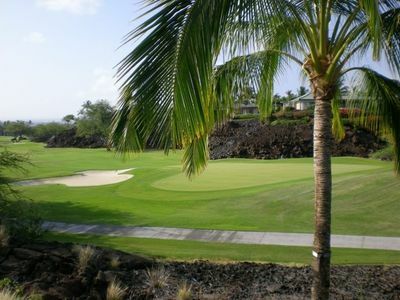 You’ll have access to the Golf Club for an additional fee. 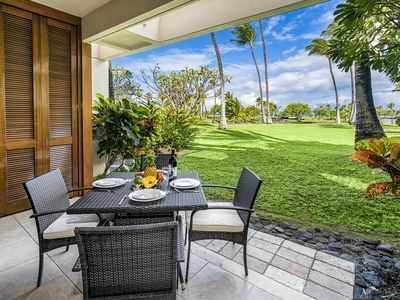 Beautifully manicured grounds with a wide variety of native wildflowers - attracting many different birds throughout the day, including a family of turkeys - welcome you upon arriving at your next Hawaiian paradise! 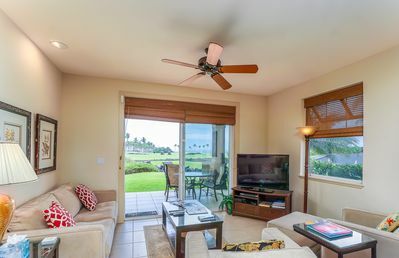 Inside, freshly painted walls and updated appliances with vibrant, mango wood cabinets in the kitchen highlight the tropically themed living space. 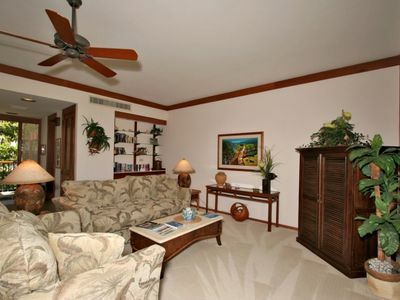 The bedrooms are spacious and well laid out with ample space for everyone to have private time if needed. 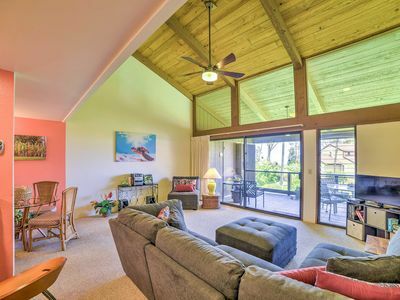 The unit overlooks one of two pools on the property which also has a hot tub and picnic pavilion with gas grills for outdoor cooking. 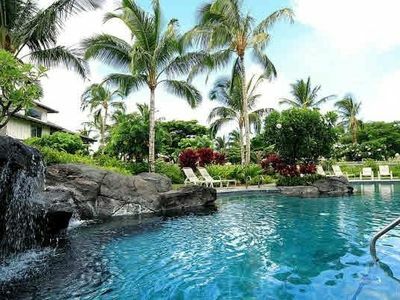 Spend downtime on your lovely furnished lanai, or head down to a community pool for a refreshing swim! 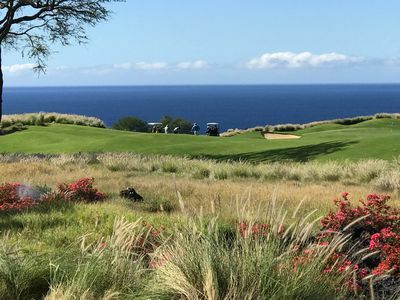 Fill your sunny afternoons with some on-site recreation and challenge friends to tennis matches or hit the fairways at the Waikoloa Golf Club. 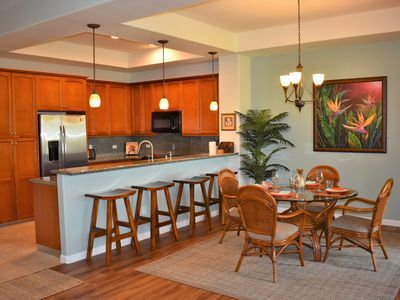 After working up an appetite, return to your home-away-from-home's fully equipped kitchen and utilize the stainless steel appliances to whip up a gourmet feast. 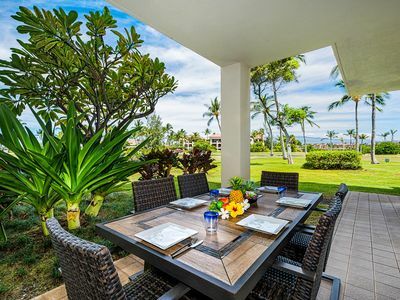 Share your home-cooking outside or inside at the glass-top dining table, then lounge on the comfortable sectional and finish the day with a movie on the flat-screen cable TV. Retreat for a restful night in bed then wake up refreshed and prep for the day with ease between 2 full bathrooms. 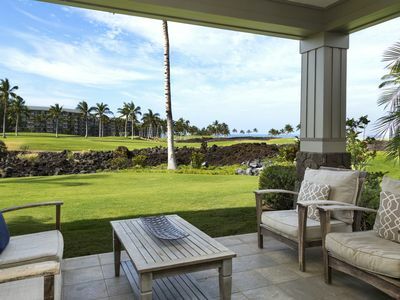 Resting on the 9th fairway of Waikoloa's Robert Trent Jones designed golf course, this vacation rental allows you to enjoy the luxuries of a Hawaiian getaway without ever having to travel far from the complex. Head just a mile down the road to reach markets for groceries, restaurants, shops, a gas station, postal services, and other essentials during your vacation. 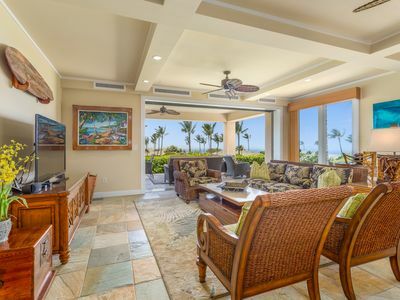 Many beaches and resorts lie within 6 miles of this property, including the Hilton Waikoloa resort, Marriott Waikoloa, Hapuna Prince Hotel & Resort, Mauna Lani Resort, Hapuna Beach, Waialea Bay, and Mauna Kea Beach. 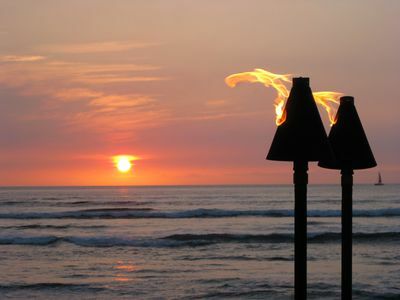 Seek out options for guided tours, snorkeling, cruises, surfing, sail boating, whale watching, and much more! 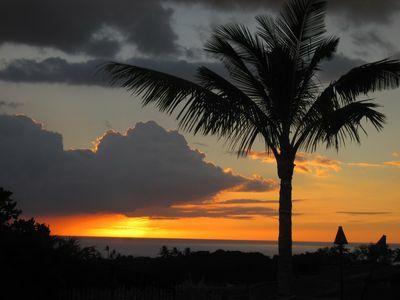 Treat yourself to a day in town and drive less than 15 miles to reach Waimea. 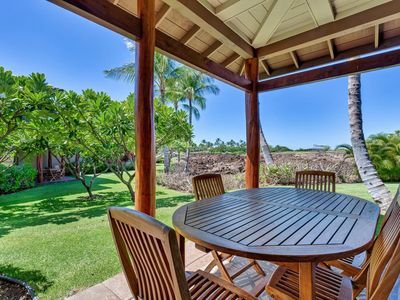 Visit charming cafes, galleries, art centers, and theatres, walk along the Ke Ala Kahawai O Waimea, and get a taste of the local lifestyle! 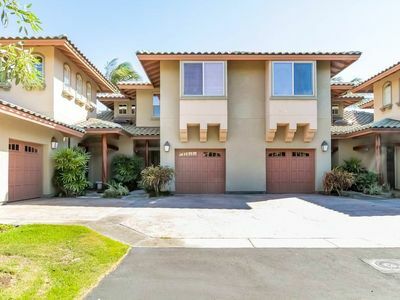 - Beautiful location in the Waikoloa Villas community - Enjoy fantastic golf course, mountain, and ocean views, and easy access to the area's beaches resorts, and attractions in the surrounding towns! Welcome to 1604, Our Little Piece of Paradise! 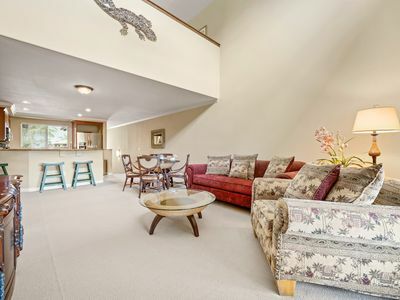 Completely Renovated!!! 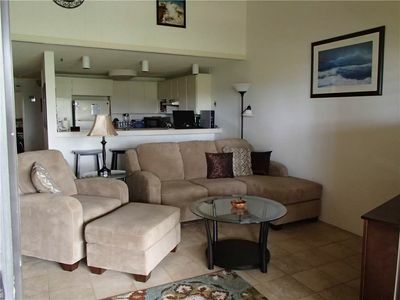 Beautiful 3 bdrm sleeps 6, near to tennis and basketball courts, short drive to beach!